Why Do I Need Tri-Hex Technology? Hawaii Blue now carries Alastin’s ground breaking skin care line! These are Vegan, not tested on animals and contain only GMO ingredients. So what is TriHex Technology anyway? We like to use one of our favorite shows @hgtv.fixerupper as an analogy 🔨🛠 On HGTVs Fixer Upper, Chip and Joanna take homes that have been damaged from wear and tear and age, and turn them into something beautiful. Before they begin to rejuvenate the homes, they always have Chip’s favorite day “Demo Day”. They have to clean out the old damaged debris to make room for the new beautiful materials they will be putting down to revitalize the home. This is exactly what our TriHex Technology formula does! What is Regenerating Skin Nectar with #trihextechnology and why is it important? Using Regenerating Skin Nectar prior to procedures helps to clear out your skin’s accumulated age-related debris so that your skin has ample space to grow new healthy collagen & elastin. It is like weeding a garden prior to planting seeds, you want the optimal environment in order to achieve the best results. Nectar used post procedure helps speed healing, minimize inflammation and soothes red and sore skin. TriHex Transition Duo is a combination of Nectar and Restorative Skin Complex. We call this our POWER COUPLE for patients undergoing rejuvenating skin care procedures 💜💪🏻. The TriHex Transition Duo contains our Regenerating Skin Nectar for use pre-and-post procedure & then a transition-size bottle of our Restorative Skin Complex for ongoing skin maintenance. 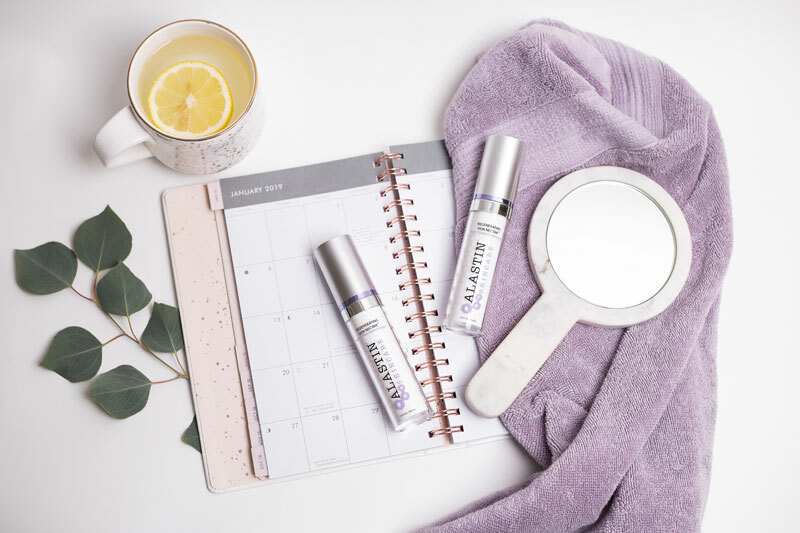 Utilizing these products maximizes skins natural ability to repair itself & produce new collagen and elastin before and after anti-aging treatments. Restorative Skin Complex with TriHex Technology® is the flagship product of the Restore and Renew line. It helps to restore and maintain skin health for a vibrant, youthful appearance. Emollient formulation with key ingredients to help volumize and lift aging skin. Synergistic ingredients combat all visible signs of aging for the face, neck, and décolleté. TransForm with TriHex for post body contouring procedures. TransFORM Body Treatment with TriHex Technology can be used in synergy with energy-based body fat reduction, or body skin tightening procedures as a post-procedure topical treatment. This unique formulation utilizes our patent pending LipoDRONE TM Delivery System to target the fat layers of the skin and help to accelerate the body’s natural removal process of post-procedure fat debris. The addition of TriHex Technology helps to support the production of new collagen and elastin to address skin laxity, texture, and crepiness post-body contouring procedures, and, as an ongoing standalone treatment. When combined with LavaSculpt, TransForm gives you the dangerous curves you crave! Hawaii Blue Skincare Regimen, Part 2: NightWhat is Ristow’s Space?